« Disney Princess Bicycles: Rescue the Prince! This entry was posted on May 10, 2010 at 12:00 pm	and is filed under Entertainment. 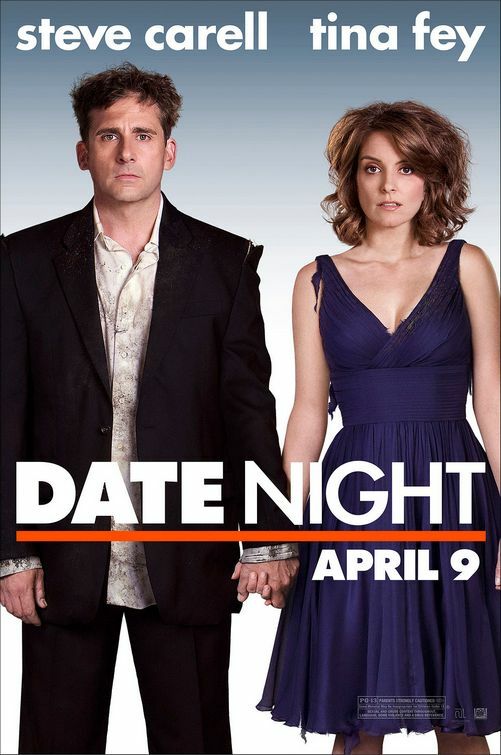 Tagged: date-night, movie, poster. You can follow any responses to this entry through the RSS 2.0 feed. You can leave a response, or trackback from your own site. I disagree; this is a fairly effective poster for an action comedy. 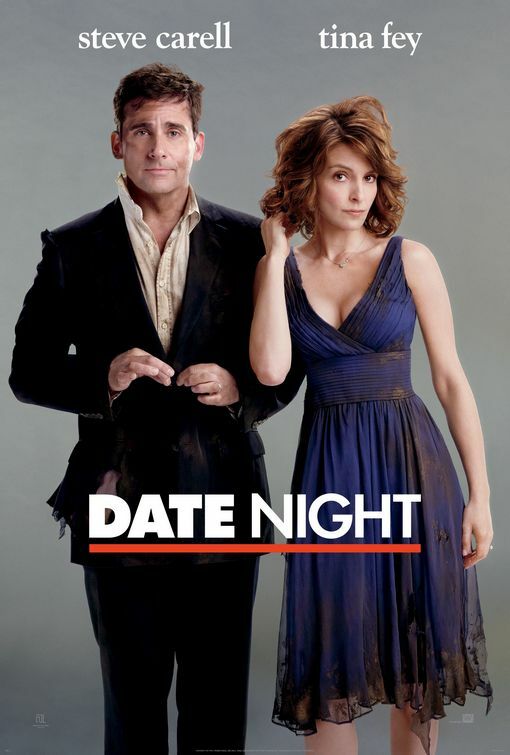 People often go to see comedies solely based on the main actors, and the imagery and title tell you most of what you need to know if its typically thin premise: a late-30s married couple go on a date night that goes horribly, hilariously wrong. Personally, I think the second one conveys a better sense of the movie (from having seen the previews) because instead of looking like they had a feisty romp in the back alley (fastening his button, fixing her hair), they look more like they’ve been hit by a truck (stunned expressions). Also, any poster that has the characters staring straight at the camera is naturally fairly engaging. I think you’re right that they stretched out Tina Fey’s body in the first poster, but some of the thinness comes from her posture. She’s standing with equal weight on both hips in the second poster but only one one in the first.